Adrian Clarke is analysing three teams' starts to the season, and what they are doing right or wrong. Marco Silva has breathed new life into Watford during the opening seven matches of 2017/18. Playing an attack-minded brand of football that has enthused players and supporters, the head coach and his less changeable strategies have given Watford grounds for optimism. In terms of formation Watford look more comfortable and balanced in a straightforward 4-2-3-1, with 4-3-3 and a 3-4-3 for a half against Swansea City the only change made under Silva. This is a far cry from last season when the head coach, Walter Mazzarri, tinkered with 11 different shapes, creating tactical bewilderment among the players. Silva has added significant speed to his team, too. Right-back Kiko Femenia is lightning quick, while the winger in front Andre Carrillo, is also blessed with a rapid turn of pace. In fact, four of Watford’s top six fastest current players this season are newcomers to the squad. When they go forward now, there is noticeably more zip to Watford's play. There is also a far better work ethic. Under the more defensive Mazzarri, the Hornets were often passive opponents, but Silva likes his players to display energy and verve. In fact, he demands it of them. Off the ball there is a willingness to press, and in possession we are seeing a great deal more vibrancy to the way they pass and move. The statistics show a colossal difference in the way Watford cover ground under their new head coach. More proactive and determined in what they do, especially away from home, it perhaps should come as no surprise that Watford's three wins on the road under Silva are as many as they achieved in the whole of 2016/17. Only Manchester City and Tottenham Hotspur have scored more goals away from home. That means that after only four of 19 away matches in 2017/18, Watford have amassed over half the goals they scored on their travels last season. 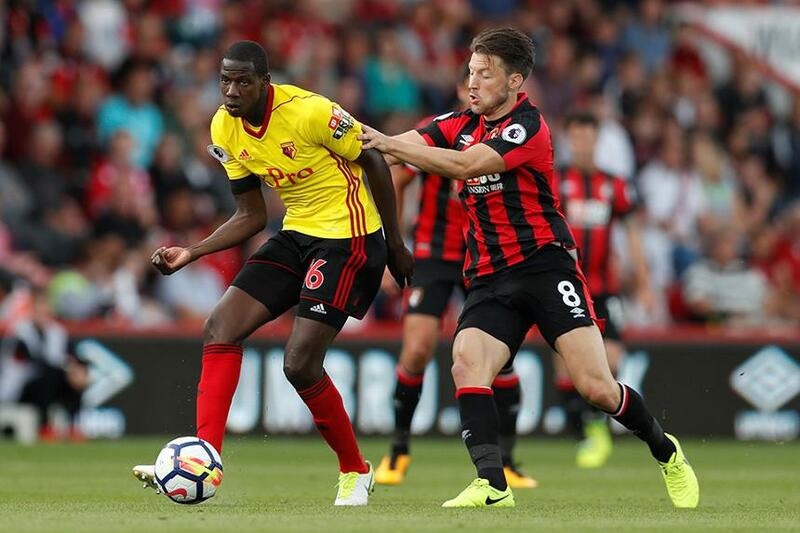 The development of certain individuals has also sparked an improvement and no one has shone brighter than Abdoulaye Doucoure. After making a quiet start to life at Vicarage Road, the central midfielder has enjoyed an outstanding 2017. Building on the promise he showed towards the end of last season, the Frenchman has become Watford's star man this term. The six-footer is strong and mobile, regularly covering the most distance for Silva’s men and, alongside Nathaniel Chalobah or Etienne Capoue, is often seen bossing the centre of midfield. Doucoure has won possession inside the middle third 31 times (ranking him 5th in the PL) and also tops Watford’s charts for touches, passes and ball recoveries. He has also produced three goals in seven Premier League appearances. While the Brazilian youngster Richarlison has been their stellar signing, adding skill, aggression and a goal threat from the left, the team’s most improved player under Silva has to be Doucoure. He looks a midfielder reborn and if this Watford side are to continue to surpass their expectations in 2017/18, they will need him to stay fit and healthy. Part 5: Can Stoke pressure lead to Man City repeat?